There is nothing more important here at Stahmanns than food safety, and that’s why we adhere to the global quality standards established by Silliker’s SQF Code Edition 7.2 at level 3 for comprehensive food safety and quality management. Our estate grown pecans are consistently tested through Silliker as part of the certification process. Acid Value Less than 5.0 mg KOH/g. 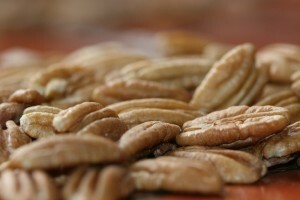 Why Test Pecans for Food Safety? A COA is provided as proof of our commitment to quality wholesale pecans, and is required for food products for various industries that supply our pecans for, including bagging and distributing. The Food Safety Enhancement Act (FSEA) requires facilities to conduct hazard analysis, apply controls for prevention, and to use a plan for food safety. Having top quality pecans is what is expected in the industry. Whether you purchase pecans for rebagging, buy pecans for commercial markets or simply buy pecans in bulk, Stahmanns has what you need. Call us at 575-526-2453, ext. 108 or reach out to us via our Contact page to find out more.